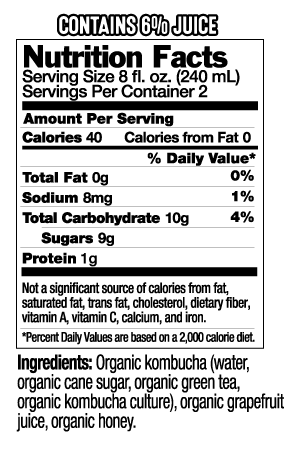 Say hello to your new favorite kombucha! Uncle Matt’s Organic Kombuchas are the drinkable kombuchas — no bitter boochi face here! Each flavor of Uncle Matt’s Green Tea Kombucha is brewed in small batches with an heirloom culture of probiotics, antioxidants, vitamins and beneficial bacteria. Uncle Matt’s Kombucha is available in Lemon Ginger, Blueberry Ginger, Mango, Lemon Raspberry Ginger and Grapefruit Honey flavors. As with all of Uncle Matt’s products, they are USDA organic with no synthetic pesticides, preservatives or added flavors.